Princess Royal is the customary title given to the eldest daughter of the British monarch. 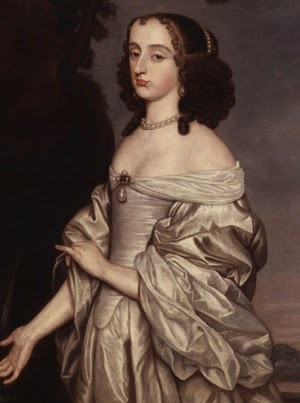 It was first bestowed, in 1642, on Princess Mary Henrietta Stuart, the eldest daughter of King Charles I and his French-born wife Henrietta Maria. The eldest daughter of the King of France was styled Madame Royale and the doting mother wanted to honour her child in a similar way. 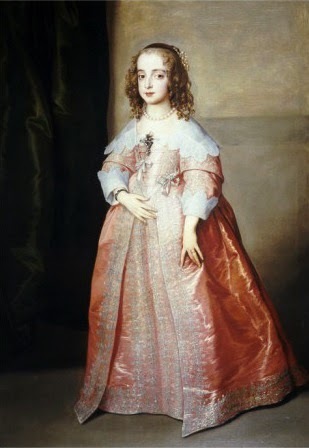 Born on November 4, 1631 at St James' Palace in London, Princess Mary Henrietta Stuart had many suitors from an early age. They included the Elector Palatine Karl, her first cousin, who, much to his chagrin, wasn't considered grand enough for a Princess of England, and Prince Balthasar Charles of Spain, another first cousin, who was too Catholic to please the English. A much more prestigious, and most importantly Protestant, candidate was William, the heir of the Prince of Orange. 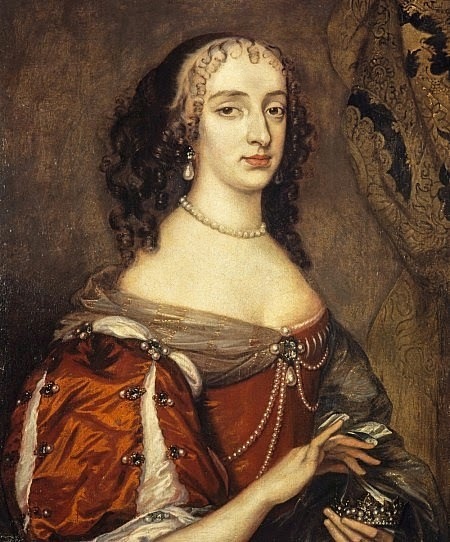 Although Mary's parents weren't too pleased with this match, the couple were married in 1641. 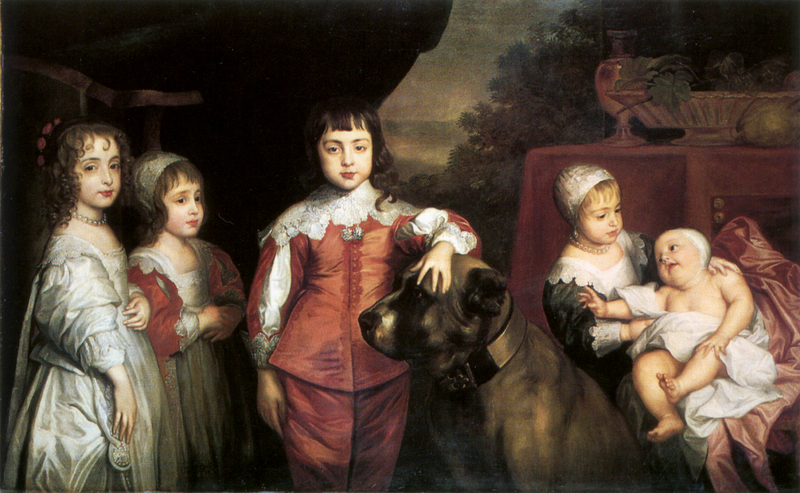 Mary was only 9 at the time, while the dashing but quite William 15. 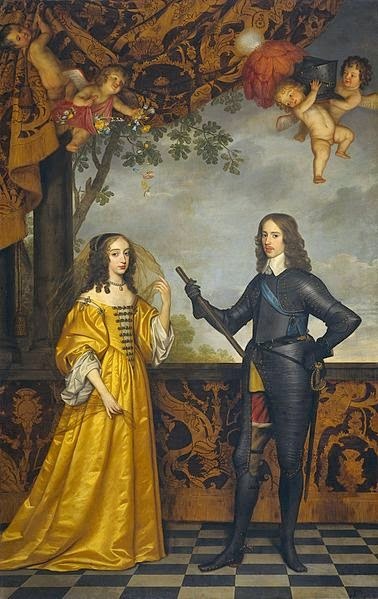 Mary and William's wedding was to be one of the last few joyous occasions during the reign of Charles I. Rebellion and civil war were looming, and this gloomy state of affairs was to blame for the modest wedding and reception the couple was given. Rather than a grand ball and sumptuous banquet, after the ceremony, the family had dinner and then walked to Hyde Park to allow people to see the newly-weds. That night, the couple was "bedded" together. 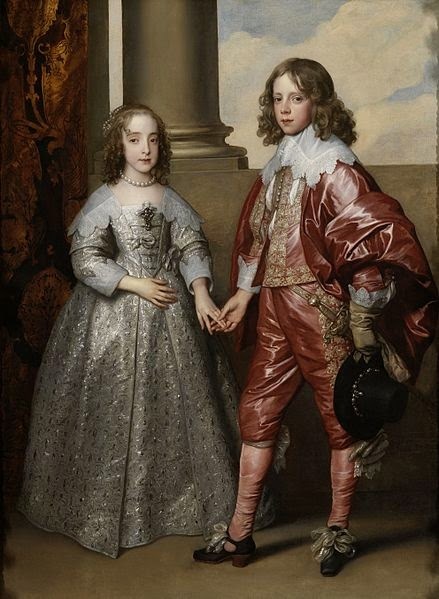 The marriage could be declared consummated when the bare legs of the bride and groom touched, so Geoffrey Hudson, the Princess' dwarf, cut her nightdress up to the knee. Although the couple wouldn't properly consummate their union for a few years, the Princess, accompanied by her mother, left for the Hague the following year. The King rode along to the cliff's edge at Dover, waving his hat to bid farewell to his favourite daughter. He would never see her again. The Hague's court wasn't as glamorous as the English one, but the lively, fun loving princess did her best to fit in. It helped that she was fond of her husband and their union turned out to be a happy one. As for the court, they livened it up when William succeeded his father in 1647. But three years later, tragedy struck. Willem died, two days after turning 19. Mary, now a widow, was heavily pregnant with their first child. Eight days after her husband's death, she gave birth to a boy, Willem. Mary must have been relieved to have given birth to an heir, but she was still left in a very difficult position. Her newborn son wouldn't obviously be able to rule for years, so a regency was needed. Her husband had designated Mary for such a role, but had forgot to sign the important document, which was therefore worthless. After much talk and rows, the regency would be bestowed on three people: Mary, her mother-in-law, and Frederick, Elector of Brandenburg, who was the baby's uncle by marriage. Mary didn't like the arrangement, but she was powerless to stop it, especially now that her family, after a disastrous civil war, couldn't help her. They were all either imprisoned and exiled. So, the princess started distancing herself from the court and its affairs. Instead, she welcomed her brothers and their supporters, creating a court of exiled British aristocrats at the Hague. This didn't really go down well with the Dutch, who had always considered Mary too haughty and frivolous. 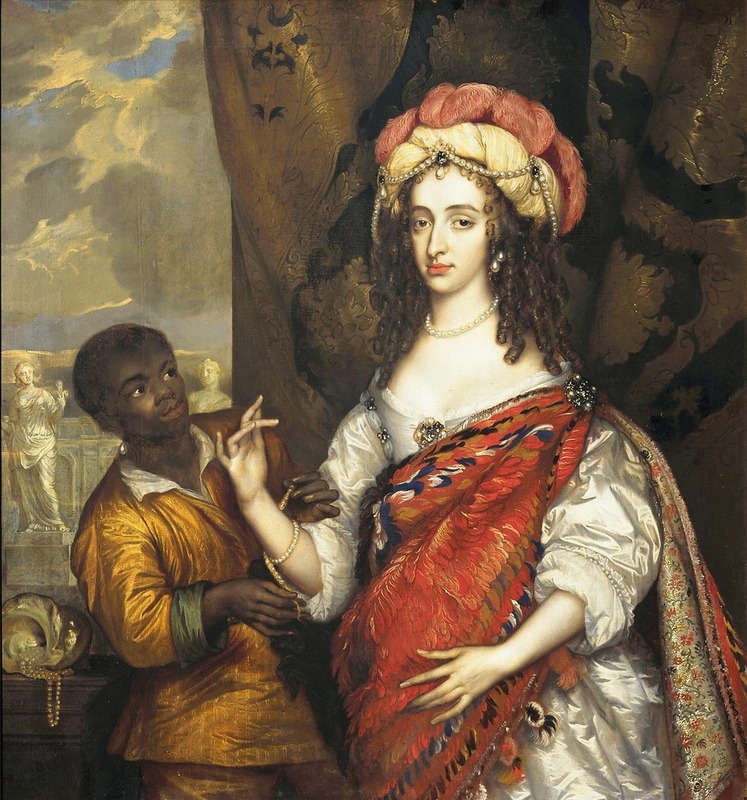 She was eventually banned from having any contact with her family, so the defiant princess just started travelling with them around Europe, acting as her brother's hostess and trying to gain support for the Stuart's cause. 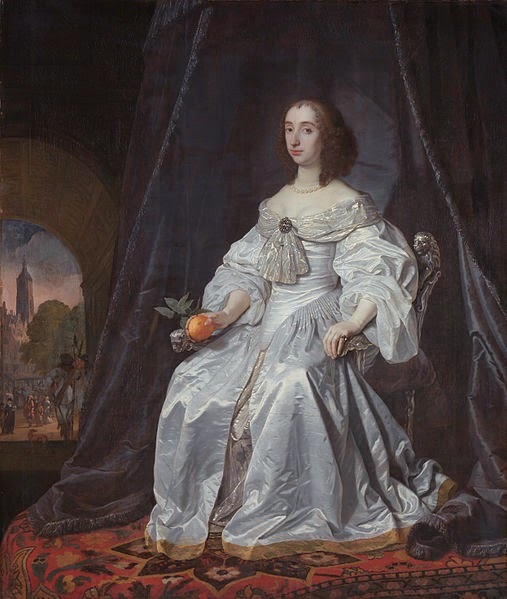 The Stuarts were back in Holland, though, when, in May 1660, a message arrived, asking Charles to return and take his throne. Mary was ecstatic, and, once her brother was King, travelled back to her native country. She almost didn't make it, as her boat was caught up in a storm and almost sunk, but in the end, she managed to arrived safely in England, where she presided over the celebrations for the succession. But the princess wouldn't enjoy her family's triumph for long. That December she caught smallpox and, on Christmas Eve, died at Whitehall. She was just 29 years old. Her son would one day sit on the English throne together with his wife Mary, the daughter of her brother James.